Editor's Pick: Surprised by Motherhood by Lisa-Jo Baker | LADY. Memoir is, perhaps, the ultimate form of creative non-fiction. In recent years, it’s received a heaping dose of criticism because its authors have taken gracious liberties with, and in some cases completely fabricated, the truth. It should go without saying that lies are not truth no matter how we spin them, but the truth can be easily as gray because perspective is...well, just that. It’s perspective. It’s subjective. It’s based on the filter of the viewer, and that filter could be any number of experiences and beliefs. Motherhood is one said filter. By what experience does our cultural most clearly define the woman than by her status as co-creator of life? She is either a mother or she is not. Most newly-married women will tell you they can no longer keep count of the number of times they've been posed this question: “So when are you having kids?” It matters, but not because family and friends, and sometimes total strangers, require a definitive answer in order to sleep at night. It matters because it influences how we view ourselves, our faith, our family, and our world. It matters because it influences how and what we create. In her unexpected and insightful memoir, Surprised by Motherhood, South Africa native Lisa-Jo Baker recounts the “before” and “after” of becoming a mother. In her story, she details the painful loss of her own mom when Lisa-Jo was just eighteen and describes how she stumbled into the role herself quite unexpectedly. She had long since decided it wasn't one she was fit to play, but I, for one, am grateful that she did. That she does. Lisa-Jo's story is all the beauty and mess of raising little hearts and minds wound up into gorgeous prose that makes the reader weep and laugh on the same page. Realizing that being a mother is, yes, as difficult and as wonderful as my own experiences have proven in the last seven months helped me turn each page with joy. 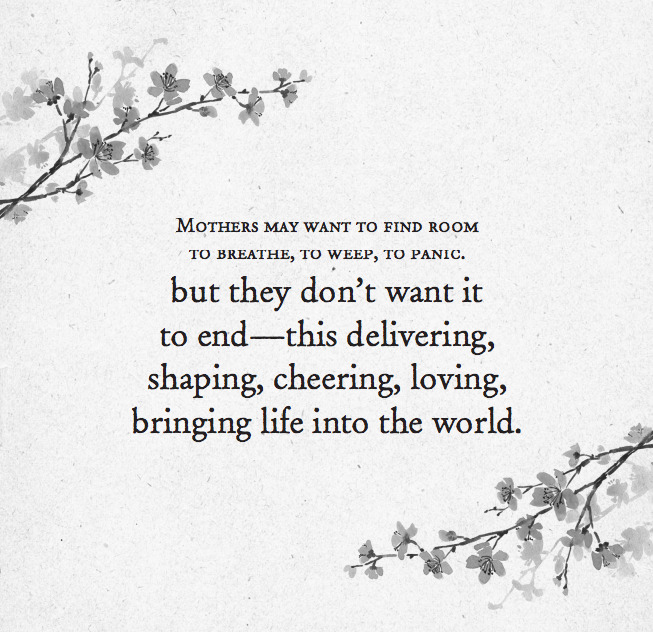 Surprised by Motherhood pulls at the deepest places of a mom's aching, sometimes battered heart, digs out the yuck, and holds it up to the light, as if to say, "See this? This is lovely." Sounds like something you'd like to read? Learn more about about Lisa-Jo's work and Surprised by Motherhood, by visiting her official website. You can also follow her on Twitter and Instagram @lisajobaker.